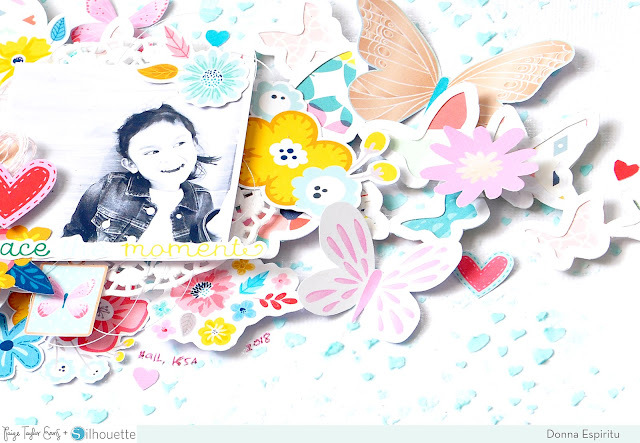 For my layout today I used Paige's Butterfly Border and Textures Background Stencil cut files. I cut the butterfly border from white cardstock using my Silhouette Cameo and then backed it with papers from the Turn the Page collection. To add texture to the white cardstock, I mixed white modeling paste and teal spray mist and used the textures background stencil. 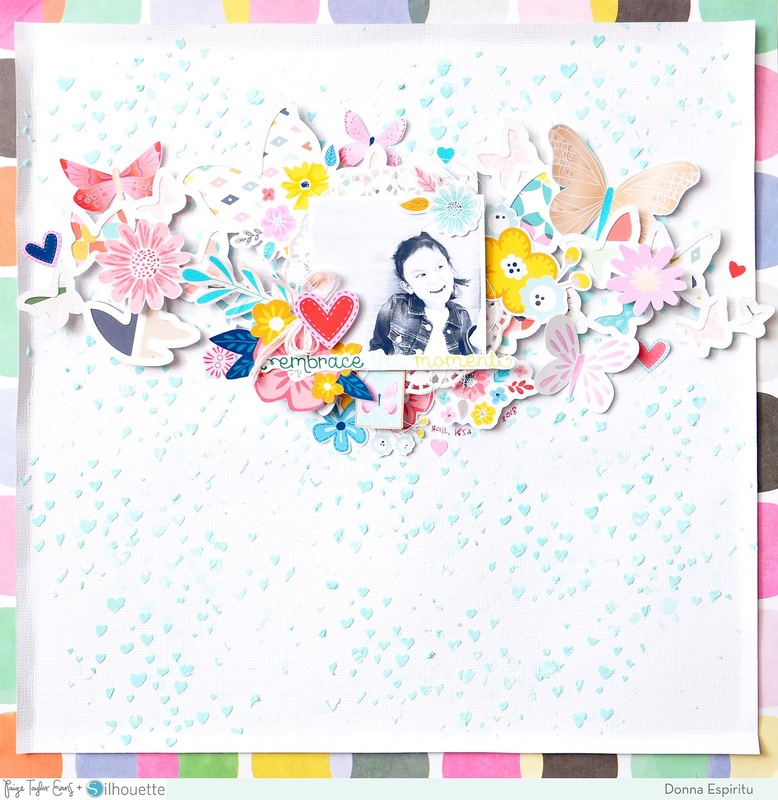 After the modeling paste dried, I cut off 1cm on all four sides and adhered it to Paper 14 from the Oh My Heart collection to create a border. 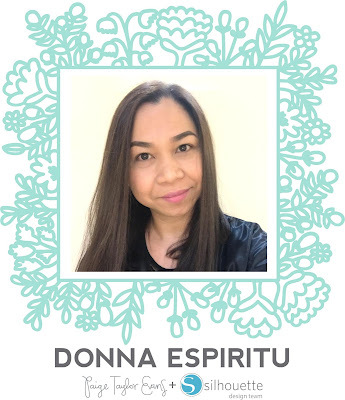 I used foam tape to adhere the Butterfly Border onto the textured cardstock and placed my photo over a white doily and messy thread. I printed some digital ephemera from the Turn the Page collection and used them to embellish my layout. That's all from me today! I hope you liked my layout and it inspired you to create something pretty! This is so beautiful! 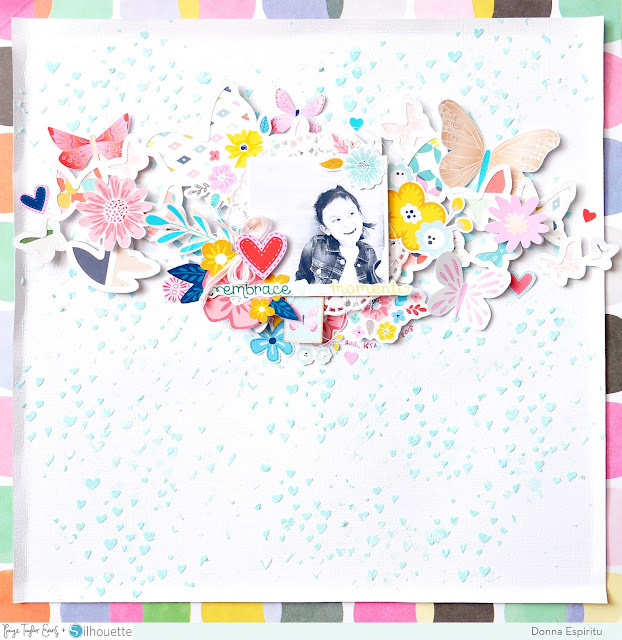 LOVING the layers and the butterflies!!! !